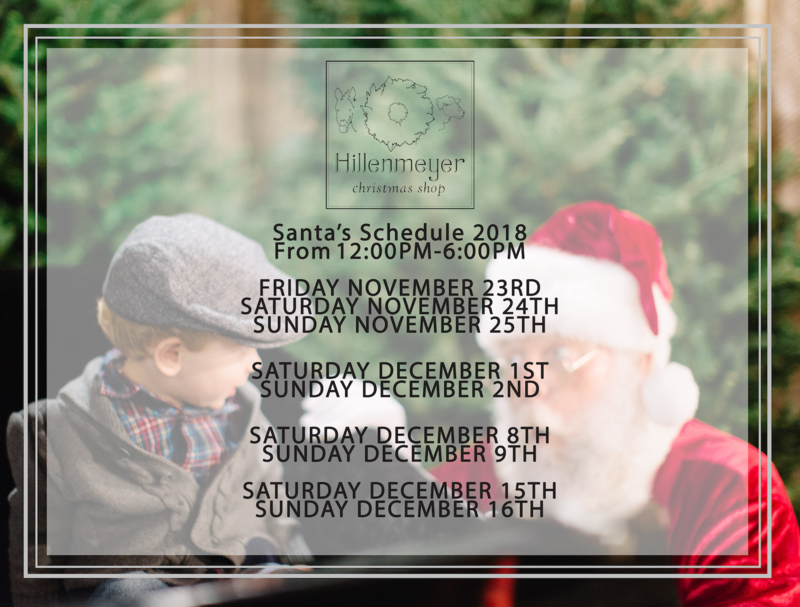 SANTA IS HERE AGAIN at Hillenmeyer Christmas Shop! Check the schedule below to find the best time to come get a picture with him. Is there a fee to take a picture with Santa? This year we are asking for $5 donations to benefit the Children’s Advocacy Center. Click here to learn more about this amazing organization. Nope! Just stop by at one of the times listed below and he’ll be here at the shop! Do I need to bring a camera? Yes! Santa and his sleigh will be there, but don’t forget to bring a camera and someone to take the picture! Merry Christmas and hope to see you there! 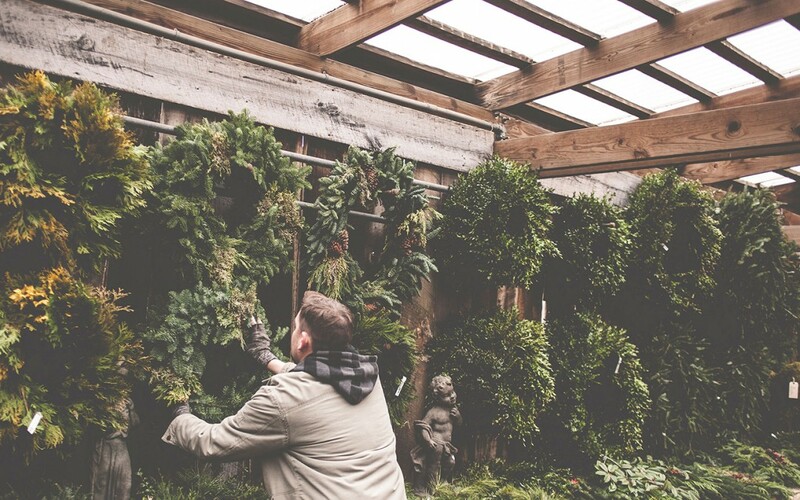 Bluesy Christmas music hums through air full of the sweet smell of freshly cut evergreens. The wicked winter wind is cut by a pop-up barn made of old wood, a fire crackles not far from Santa’s antique sleigh, and there are, of course, marshmallows for roasting. This picturesque atmosphere is at The Hillenmeyer Christmas Shop at Lansdowne Shoppes, and it’s so inviting that people who come to shop tend to linger.